The Mercedes 300 SE Coupe was introduced as the successor of the 300th Adenauer series in February 1962 and was based on the 220 SE Coupe, which was introduced in 1961 and based on the W111 platform, the so-called Fintail. They correspond technically to the sedans and remained until December 1967 in the program, that is 2 years longer than their four-door sister models (but 4 years shorter than the 111er coupes and convertibles). In contrast to the sedans, they have no fashionable tail fins, a lower roof line, and thus appear altogether more elegant and timeless, which gave them a classic status much earlier. 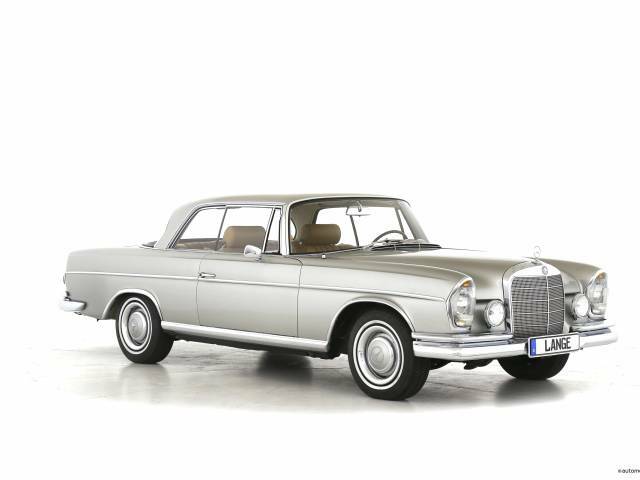 This timelessness also allowed them to be built virtually unchanged in parallel with the successors of the 112 sedans, the S-Class W 108 / W 109 series. 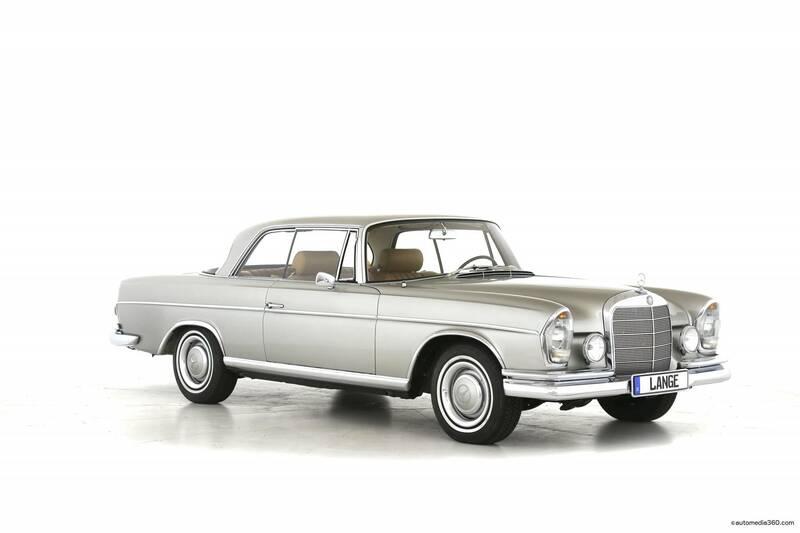 Nevertheless, there were only 2,419 coupes build, (W 112.021) because the purchase price was exorbitantly expensive. Mercedes implemented all the technologies available to the 300 SE Coupe at the time, including a light-alloy engine with the mechanic Bosch intake manifold injection, 4-speed automatic transmission, self-leveling air suspension, all-round disc brakes and pneumatic brake booster, self-locking differential, power steering, rear brake anti dive system and much more. Visually, an even more valuable interior was installed, chrome trim on the wheel arches and a continuous chrome strip on the side flanks installed. The W 112 is powered by the Mercedes-Benz M 189, a very elaborate series six-cylinder engine with three liters of displacement. Due to its light metal alloy (head and block), the engine weighs about 40 kg less than the cast iron precursors used in the 300 SL ("gullwing" and roadster) and in the 300 (W 189, "Adenauer sedan") The car has a sporty light-footed handling, in contrast to the front heaviness with the heavy gray cast iron V8 engines from the later 280 SE 3.5. Today, the Mercedes 300 SE is the avant-garde of the 111/112 Coupes, she is very rare and for connoisseurs the culmination of these timeless and elegant motor vehicles. The vehicle we offered was first delivered to France, we imported the car in 2015 and also started the cosmetic and technical restoration that has just been completed. The car has actually run 55.500 km and is fully preserved in the original. The vehicle was completely documented. The outside body was sanded down by hand to bare metal because the original paint was behind to be savable. It showed that she was in excellent condition, no body repairs were carried out, the car is accident free, the underbody was ice-blasted and waxed and rustproofed, and the outside body was repainted in its original color in Glasurit 180 silver gray Metallic. The entire Technik was removed,dissembled , cleaned and, where necessary, overhauled by the respected specialist AI Motors in Stutensee, Germany. It was important to preserve the original look and not to over restore it. The chrome is mostly original, only the bumpers where rechromed because of dents. It was a Kühlmeister air conditioning retrofitted. The original leather upholstery was cleaned and new pigmented, the original carpet was shampooed, the wood was stripped and repainted to the highest standards. Every little detail has been taken into consideration, with the emphasis placed on absolute originality, right up to the right clamp in the engine compartment, the original books, the completely original tools, the original spare wheel, the authentic battery, the data card and also the original key fob. The offered here Mercedes 300 SE is likely to be the best-preserved car of its kind worldwide. The accident-free vehicle in its best condition was provided with fresh TÜV Inspection and Historic application. The exact equipment can be found followed. I will be happy to answer any further questions. The vehicle is sold with a 12-month warranty. This is the car you should add to your Mercedes collection. 254 Elimination of the word "automatic"